In a small step towards computing convergence, Google has rolled out a feature that lets you send directions, reminders, notes, and more straight from your browser to your phone. In fact, you can try this out right now. Make sure your phone is updated and has the right settings (check this out). Then head to google.com (or Chrome) and type in “send a note to my phone” or “send directions to my phone” into the search bar. This will open up a Google Now-esque card that will let you type in the note or look up the address you want to send to your phone. Once done, your phone will receive the info as a notification. You can also set reminders, alarms, or find your phone’s location straight from the Google search bar. 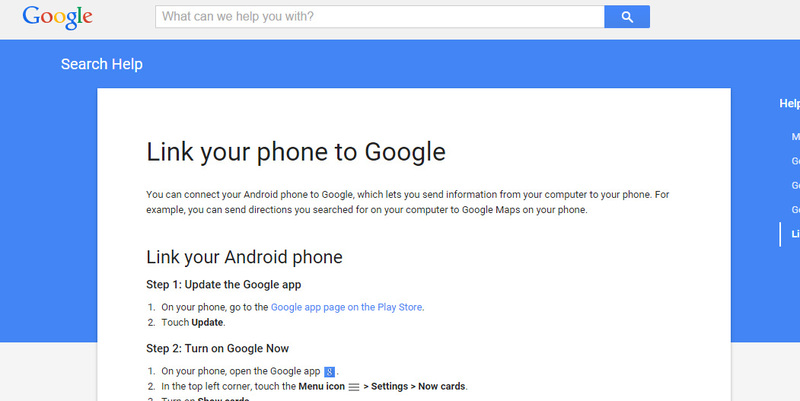 Sadly, this doesn’t work for Bangladeshi users since Google Now isn’t supported in the country. However, there are ways you can activate it if you search online *wink*. The notifications work almost instantly and are a great way to hand off data to your phone right from the desktop. I like the fact that it’s so easy. There’s no software involved—all you need is your browser and an Android phone with Google Now turned on. I hope they open up Google Now to more countries soon because people are missing out on a great feature by simply not “being” in the right country, which is just sad.